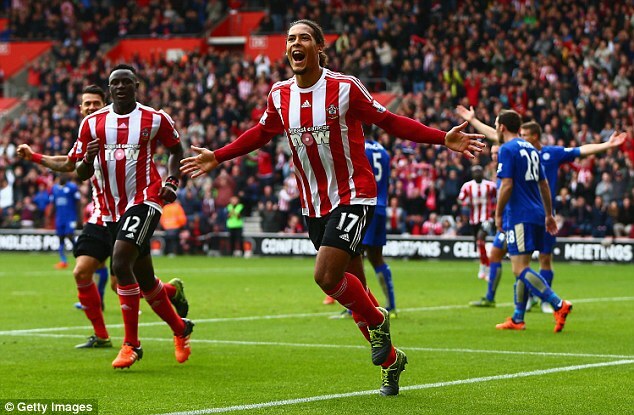 Former Premier League striker and Liverpool fan Mickey Quinn has urged Jurgen Klopp to splash the cash on Virgil Van Dijk in January. The Dutch centre-back was colossus against us on Saturday, helping Southampton keep a clean-sheet versus the most rampant strike-force in the country. He has all the attributes required of a modern defender: he’s tall, strong and decisive, but crucially – has the technical attributes required to play out from the back. And at 25, he has room for improvement. There’s no arguing he has the potential to develop into one of Europe’s leading centre-halves. “I think he could be the missing link for Liverpool in regards of winning the Premier League,” said the ex-Newcastle forward (cited by the Echo). “You’ve seen him at Celtic and at Southampton. He’s a football player, an aggressive centre-back and he just goes from strength to strength every time I see him. Importantly though, there’s been no concrete links to the defender from sources we trust implicitly. Tony Barrett, Paul Joyce and James Pearce have yet to confirm any interest, while Jurgen Klopp recently lauded his current partnership of Dejan Lovren and Joel Matip. What’s more, he already has Lucas and Ragnar Klavan backing them up, while Joe Gomez is rated as an enormous talent whose path to the first-team it would be foolish to block. Van Dijk sounds like an exciting idea, but we can’t see it happening – especially in January – where the boss is only interested in a new winger.